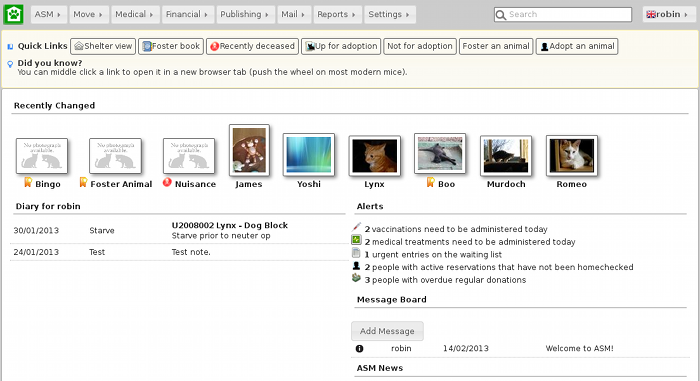 A complete solution for animal shelters and rescue groups. 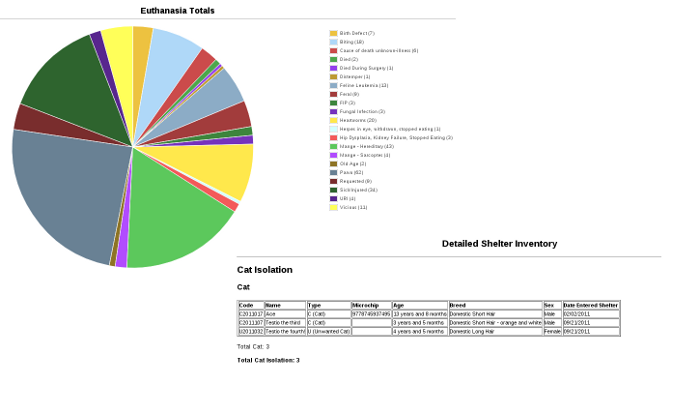 sheltermanager.com is a fully managed solution for your animal shelter. Translated to 15 languages, fully supports many locales including USA, Canada, UK, Australia, South Africa, New Zealand, Ireland, France, Germany, Spain, Lithuania, Russia, Greece, Italy, Turkey, etc. secure electronic signatures via any mouse/pen/touchscreen device, no paper required! RSPCA standard forms including adoption, transfer of ownership, etc. 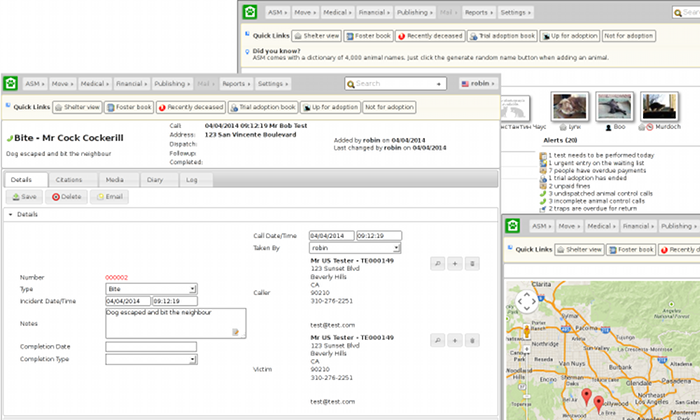 break figures down by payment categories and methods, etc. Separate clustered database servers ensure high performance and no contention or busy times with shelters in other time zones. Privacy - Your data is the property of your shelter. We do not sell, modify or use your data in any way.